Have you found an online vendor selling Calypso Spiced? I'm on a roll, trying all of the rum with a female pirate or sultry woman on the bottle. I put this one a bit above Blackheart, it's fairly smooth, the usual vanilla and a nice looking bottle for the shelf for my swashbuckling drinking friends. Maybe the best rum out of the island nation of Louisville KY. Like I said, baught it for the label, I'll finish it eventually but it won't be my go to mixer. Say you only have ten dollars on hand and you want to get something to lift your spirits? Your in luck. Calypso is about to do just that. At a relatively cheap price, you can rarely do better. You normally expect a horrid spiced rum at such a low price yet you'll be rewarded with a fine but basic tasting rum. Its nothing special but its not bad either. When swirled it has some nice legs. Better as an ingredient/mixer of course. We usually drink Admiral Nelson's Spiced Rum but our liquor store was out! Having tried all of the others and most tasted like cough medicine, went for something I hadn't seen before. I have to say we were pleasantly surprised. It is very similar to Admiral, vanilla forward with a smooth finish. The flavor was a bit subdued but for the price, you can't go wrong. This is one of those times I tried to be adventurous and give a new rum a chance, in spite of my better judgement. I was surprised that it wasnt awful. The cheesy packaging worried me, but it wasnt awful. Just another average spiced rum that is a good value. Save it for the guy that everyone knows who can drink jet fuel and be happy. Had a rum tasting on a sunny afternoon, because why not. 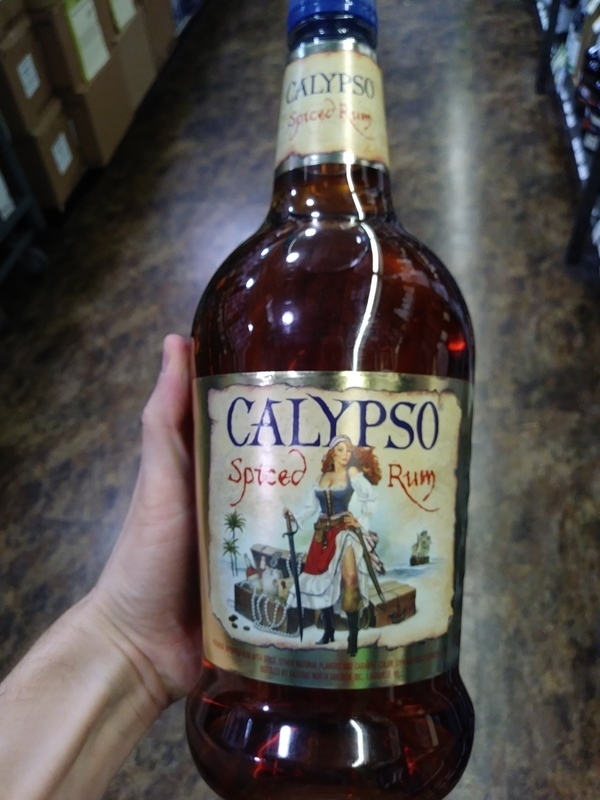 Calypso Spiced Rum bottle and label design looks silly and cheap. Pure alcohol and nasty artificial flavors to the nose and palate. Strong burn at the end. Mix it up for your own sanity. Not very smooth, but a good bit of vanilla and sweetness to follow. It's not horrible, better than Bacardi Gold or Oakheart. Pretty good. I like it. I saw it on the shelf at Spec's. Thought I'd give it a try. I usually drink El Dorado 8 and Myer's Dark, the two rums I give a perfect 10 too. This is on par with Sailor Jerrys. Yes, a bit of vanilla taste. Mixes well with Schwepps Tonic. For the price, wow, you can't beat it. But for a couple extra bucks, El Dorado 8 or Myer's is the best.